My brother-in-law and his wife just welcomed a sweet little girl into the family a few days ago so there is definitely baby fever going around. There are so many innovative products, tools and resources for new moms and baby. The Snuggwugg is no exception! Are you a new mom-to-be or recently had a baby or maybe one of your friends is expecting? This is the perfect giveaway for you! 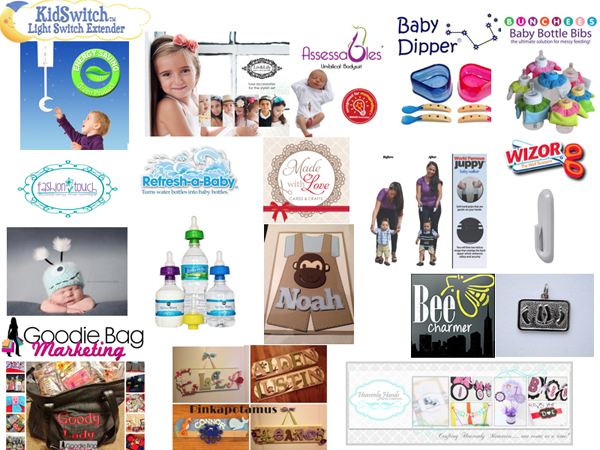 We are giving away over $1,000 in baby shower prizes and PayPal cash! Learn more and enter to win below! 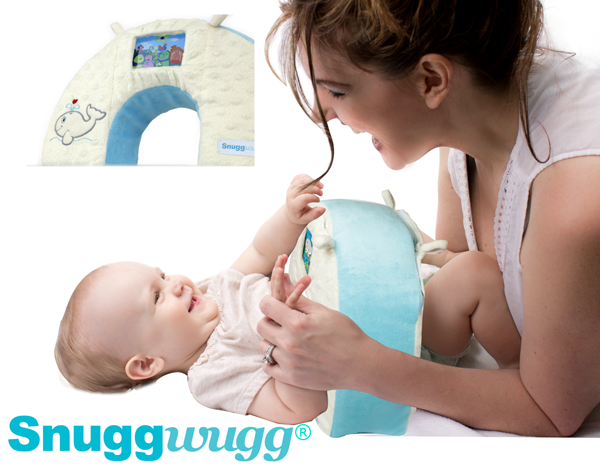 Snuggwugg™, a Huggies Mom Inspired Grant Winner and the world’s only smartphone interactive pillow for babies & toddlers, is excited to announce the $1,000 Snuggwugg Baby Shower Spectacular Giveaway. One lucky winner will receive over $1,000 in baby shower prizes and $75 in Paypal cash for all the extras you may need! We are celebrating the upcoming launch of Snuggwugg, the innovative and award-winning smartphone interactive baby pillow that safely stops a squirmy baby during diaper changes. Snuggwugg is great for tummy time, play and travel. The official launch date is May 1st. Retailers have begun accepting pre-orders for the Snuggwugg and demand has been very high. It will be in limited supply during the initial launch. The only way to make sure you get one is to pre-order now. Our lucky giveaway winner will be able to get their Snuggwugg before the May 1st launch date and will enjoy some of the most sought after baby products available! Snuggwugg has partnered with some of the most innovative and amazing baby products to give you the baby shower event of a lifetime with a prize package valued at over $1,000! Check out a few of our amazing sponsors! Petunia Pickle Bottom is offering your choice of one Boxy Backpack ($189.00 ARV). A modern classic as striking as it is well-appointed, the Boxy Backpack is a favorite of stylish mothers the world over. It’s intuitive design features an array of well-placed pockets, an easily accessible built-in changing station and multiple carrying options for maximum efficiency and versatility. Two cases of HUGGIES Natural Care baby wipes brought to you by Huggies MomInspired where over $600,000 has been awarded to celebrate the ideas of entrepreneurial parents who have created solutions that bring parents and children closer together. HUGGIES Natural Care Wipes offer a sensitive, gentle clean for new baby’s naturally perfect skin. They provide a soft, sensitive clean, and are now available in a stylish designer tub that’s handy in any room! Sugar Factory has provided the most delicious looking sweet treat VIP basket on the planet! 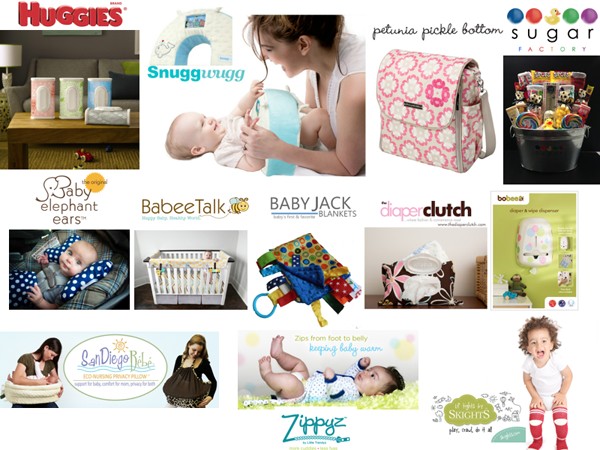 Visit Snuggwugg for a detailed description of all of our wonderful sponsors and prizes. A very special thanks to all our sponsors: Huggies, Petunia Pickle Bottom, Sugar Factory, Baby Jack Blankets, Lil Tights by Skights, San Diego Bebe, Baby Elephant Ears, KidSwitch, Bobee Inc, Made With Love Cards And Crafts, Assessables, Liv & Lily, Baby Dipper, Shop Zippyz, Babee Talk, The Wizor, Heavenly Hands Party Creations, Bunchees,Goodie Bag Marketing, Fashion Touch, Refresh A Baby, The Diaper Clutch, Pinkapotamus and Bee Charmer NYC. Visit them on Facebook, Twitter and their websites! Enter to win a $1,000 Baby Shower Prize Package. One winner will be selected at random from all valid entries. Open to the United States. Ends at 11:59pm EST on March 14th, 2014.